What es Cross Country Skiing? Cross country skiing also known as XC Skiing is a sport in which participants/competitors push themselves across snow-covered landscapes using skis and poles. 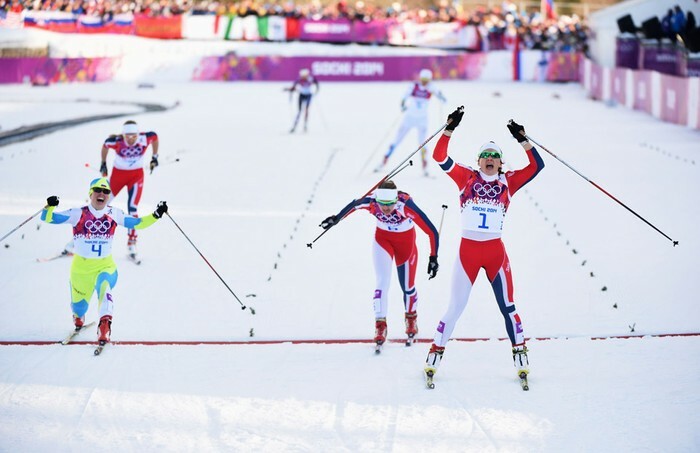 Cross country skiing is part of the Nordic skiing family. The most modern style of skiing is cross country skiing. 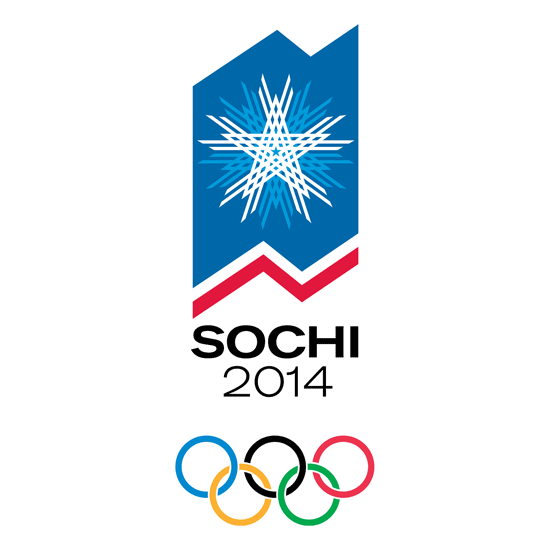 The Sochi 2014 Olympics logo created by Interbrand. Check out the other logos here. Vesna Fabjan, Ingvild Flugstad Oestberg, and Maiken Caspersen Falla participating in the Ladies Sprint Free. For more pictures click here. Team USA at Sochi 2014! Original pic here. Not only is cross country skiing entertaining, it's also one the most healthiest recreational sports for your overall body. It's a terrific cardiovascular activity! For more facts visit here. This video below shows the difficult endeavors many athletes competing in cross country skiing face during and after their event/race. The link above takes you to an article about how cross country skiing is one of the most physical demanding sports known to man. If health and fitness interests you, you should definitely check it out! 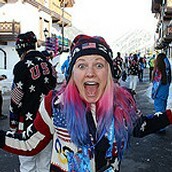 Did you know that Kikkan Randal aka "Kikkanimal" has her very own website with tons of information about her? Kikkan at a photo shoot for a magazine. Like the pictures? Here's more. Kikkan and her team members posing for a picture at Sochi 2014. Photo gallery with more fun pictures here. Kikkan Randal cheesing for some snaps! For more photos of Kikkan click here. If you want to know more personal information about Kikkan Randal, watch the video above. If not, you have another option, read the article below that will surely be worth your time. The article is about Kikkan Randal's placement results after her performances. 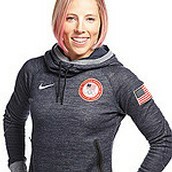 American cross country star Kikkan Randall suffered a heartbreaking setback Tuesday, failing to reach the semifinals in the individual sprint race despite being regarded as a medal favorite.